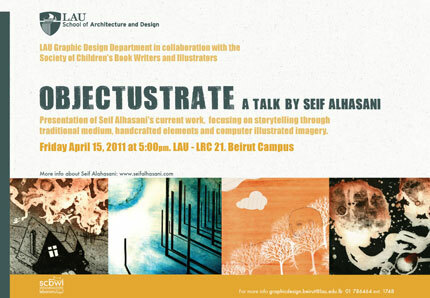 The lecture will be given by Seif AlHassani who is going to present his current work, focusing on storytelling through traditional mediums, handcrafted elements, and computer-illustrated imagery. It will be followed by a Q&A session. For more information, contact the Graphic Design Department at: graphicdesign.beirut@lau.edu.lb or 01-791314, ext. 1748.